Who is eligible for a funeral service by the church? Everyone in the parishes of Uplyme or Axmouth have the right to a funeral service in the church buildings or at the crematorium with a member of the funeral team. What are the options about burial and cremation? If you have the service in church, you can have a burial in the churchyard (Axmouth) or cemetery next to the church (Uplyme). Alternatively if the deceased is to be cremated, you can have the service and committal in church and then the undertakers will then go with the coffin on to the crematorium (at Yeovil, East Devon or Exeter). 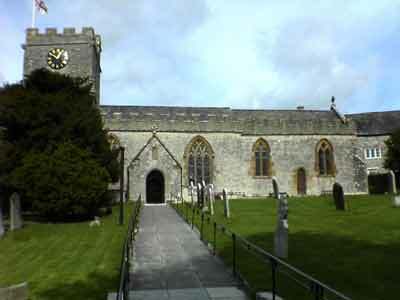 You will then arrange a Burial of Ashes in the churchyard (Axmouth or Uplyme) at a later date. If you have the whole service at a Crematorium then you can arrange the interment of ashes at a later date in Uplyme or Axmouth churchyards. We are very flexible about the approaches used. Contact the church via a local undertaker, who will help you to make all the practical arrangements. One of the clergy along with a member of our visiting team, will always be ready to meet the next of kin to explain everything and to help you choose what is best for your family. The costs vary depending on what the deceased wishes are. If you have any further questions, whether about practical arrangements or spiritual matters, please don’t hesitate to contact us through the church office on 01297 444499 or use the contact form.